Many labelled the first fight between Tyson Fury and Wladimir Klitschko as boring. However, those who truly understand boxing will have appreciated the amount of skill on offer. When two highly skilled boxers face each other in the ring, it often turns out to be like a chess match; with only one or two punches often being the decider of who wins each round. Let’s be honest, mistakes makes for exciting fights. However, when two highly skilled boxers meet, few mistakes are made. The same can be said for when Mayweather fought Pacquiao. Many claimed that the fight was boring, whilst the true boxing fans viewed it as complete boxing masterclass from Mayweather. Remember: boxing is the art of hitting your opponent whilst not getting hit yourself. And Fury demonstrated that perfectly in the first fight. Let’s remind ourselves that Wladimir Klitschko was undefeated in 22 fights over an 11 year period, never even coming close to losing; and can still be considered as one of the greatest heavyweight boxers of all time. Yet Fury used a vast range of well-executed skills (which will be discussed here) to comfortably outbox Klitschko over 12 rounds – something that has never been done before. Think what you want about Tyson Fury’s behaviour outside of the ring; but maybe it’s about time he receives the credit he deserves for being the extremely talented boxer that he is. His boxing ability and plethora of skills may not be as obvious to the eye and aesthetically pleasing as the likes of Ali, Mayweather, etc. ; however, this by no means implies that they are any less effective. This article highlights the sweet science behind Fury winning the first fight; and why he wins the rematch also. It’s no secret that movement, and activity, gives Klitschko problems. Klitschko is at his best when he uses his lead hand and jab to measure the distance, keep out of range, and pin his opponent down. Every success Klitschko has comes from the jab. He won 22 fights in a row with consummate ease by dominating with the lead hand. However, this task is made a lot more difficult when the opponent has good movement. Effective and constant movement around the ring makes it much more difficult to pin down the opponent and land the jab consistently. This was apparent in Klitschko’s fight versus Bryant Jennings in 2015. Jennings caused Klitschko more problems than most by constantly moving around the ring making it hard for Klitschko to pin him down. Jennings actually won 3 rounds in that fight, which is more that can be said for the vast majority of opponents that Klitschko faced over his career. Despite Fury’s massive 6’9 size, he is incredibly light on his feet and possesses quality movement. Fury receives a lot of criticism for his antics of “dancing around the ring” and many accused him of running away from Klitschko. However, these tactics are perfect against Klitschko. Klitschko had extreme difficulties in trying to pin Fury down and was unable to dictate the pace of the fight like he usually does. Fury’s constant movement around the ring resulted in Klitschko basically following him around, which plays perfectly into Fury’s strengths (something which will be discussed later). After watching fight back several times, I couldn’t help but notice a lot of similarities between Fury’s approach and that of Muhammad Ali’s versus Cleveland Williams in 1966. Ali’s performance versus Cleveland Williams was one of the greatest of all time. Ali’s range of skills and ability was showcased perfectly in this fight; and it’s a fight I recommend that you all watch back. One of my favourite boxing analysts, Wilson Kayden, produces a quality film study of Ali’s performance versus Williams. The first thing to take notice of in this fight is Ali’s constant movement around the ring from the first bell. Although Ali doesn’t immediately throw any punches, his incredible movement ability establishes the distance, making it very difficult for Williams to pin him down, and results in Ali simply getting followed around the ring by Williams. It’s practically impossible to get yourself in position to land clean shots on your opponent when you are simply following them around the ring. This is first similarity to take note of between Ali and Fury. Their antics of dancing around the ring are incredibly effective at keeping their opponents at bay. As mentioned earlier, this kind of movement gives Klitschko serious problems. Klitschko is most successful when his opponents stands right in front of him, allowing him to control the distance and dictate the fight with his jab. The movement of Fury made it very difficult for Klitschko to do this. I will keep reiterating this point throughout the article: although Fury’s skills (in this case movement) are not quite as stylish and pleasing to the eye as Ali’s, they are just as effective. The second significant similarity between Fury and Ali is their use of feints and their ability to change levels with upper body movement. Just like Ali, we saw Fury continuously dip his shoulders, changing levels and use feints against Klitschko to great effect. As we can see from the above video footage, the upper body movement and ability to change levels used by Ali and Fury is an extremely powerful weapon. By dipping the shoulder and feinting, both Ali and Fury cause significant reactions from their opponents. The jerky style of Fury is clearly confusing Klitschko, making Klitschko react to every slight movement that Fury makes. The same can be said for Ali: every time he feints and changes levels, he causes a significant reaction from Williams. This shows perfectly how Ali and Fury are in absolute control of the fight. The use of feints introduces an element of uncertainty in the opponent’s mind as they have no idea when the punches are coming. Both Klitschko and Williams are totally confused. We can see from the video above that Fury’s movements and use of feints create openings. As Fury feints, this immediately causes a reaction from Klitschko, creating an opening for Fury to land a clean jab to the body. This is highly skilful boxing; and just one of the many reasons why Fury had the beating of Klitschko. Fury’s ability to switch-hit and change stances throughout the fight is another weapon in his very big arsenal. Fury often switch stances midway through combinations, always giving Klitschko different looks; making it hard to adjust to the reversed angles. Very few boxers possess the ability to switch-hit effectively; and I can’t think of a single other heavyweight who can do it. In my opinion, perhaps the best switch-hitter in world boxing is lightweight Terrence Crawford. Crawford boxes some rounds exclusively orthodox, some rounds exclusively as a southpaw; and often switches chance midway through a round or even midway through a combination. These are some of the same tactics employed by Fury. As conventional fighters rarely fight southpaws, they often find it hard to adjust to the reversed angles. Klitschko himself has had problems when fighting against southpaws. One of his only defeats came against southpaw fighter Corrie Sanders whereby he was knocked out in the second round. Additionally, Klitschko wasn’t his dominant self when fighting American southpaw Tony Thompson. There’s no technical advantage fighting as a southpaw, but it’s more of an experience advantage. The simple fact is that there are many more orthodox fighters compared to southpaws, especially in the heavyweight division. Although Klitschko has tonnes of experience, he will still be more comfortable fighting against orthodox fighters simply due to there being more of them. It is very hard to find good quality southpaw sparring partners in the heavyweight division. It’s even harder trying to find sparring partners in the heavyweight division who are able to switch-hit. Klitschko himself said that he had difficulties in finding sparring partners to emulate Fury’s style: “It’s very difficult to find somebody who’s 6’9, who can fight in a southpaw and regular stance with the same capability of movement”. Some of the sparring partners used by Klitschko in preparation for the first fight included Zeus Frazier, Adrian Granat and Richard Towers. Whilst they are all very big, all of them are orthodox fighters and do not box out of the southpaw stance. Additionally, none of them possess the same movement and skill set of Fury. This makes it virtually impossible for Klitschko to prepare effectively for facing Fury. Contrastingly, it’s a lot easier for Team Fury to find sparring partners t0 emulate Klitschko’s more conventional style. Tyson’s cousin, Hughie Fury, provides excellent sparring in preparation for Klitschko. Standing at 6’6, Hughie is the exact same height as Klitschko and is talented and skilful enough himself to emulate many different styles and provide Tyson with high quality sparring. Additionally, in preparation for the rematch, Klitschko’s fellow countryman and undefeated prospect Oleksandr Teslenko has been providing sparring for Fury. In my opinion this is a complete masterstroke by Team Fury. Teslenko is a very talented young fighter and boxes in a very similar way to Wladimir Klitschko. Another advantage to his switch-hitting style is the fact that when boxing as a southpaw, Fury manages to establish the sought-after lead-foot dominance against Klitschko. When there are two fighters with opposite stances, the one who tends to have the most success is the one who gains lead-foot dominance. The best southpaws in boxing, such as Guillermo Rigondeaux and Manny Pacquaio, have proved time and time again how they can use their southpaw advantage to establish lead-foot dominance by positioning their lead foot to the outside of their opponents. This lead-foot dominance allows a fighter to bring their strong hand parallel with the line of attack and land clean shots on their opponent whilst making the angle for return fire very difficult. When Tyson Fury first switches stances to southpaw in the 3rd round, we can see how he uses his long legs to establish the lead-foot dominance and land a clean body shot on Klitschko. Let me remind you once again: boxing is defined as the ability to hit and not get hit. Champions do not take return fire. Establishing lead-foot dominance is such a powerful weapon as it puts you in position to land clean shots whilst making the angle for return fire very difficult. Although Fury fought predominantly orthodox in the first fight, he had great success when switching his stance. Klitschko barely landed a single punch when Fury was in the southpaw stance. Fury’s ability to successfully switch-hit and change stance so easily throughout the fight is yet another factor which makes him so difficult to beat. In my opinion, perhaps the most significant reason for Fury beating Klitschko is his ability to control the distance. In Klitschko’s 22 fight winning streak before he met Tyson Fury, he w0n those fights by being able to control the distance. He did this by using his most powerful weapon: the lead hand and jab. Klitschko uses his lead hand to gage distance, create openings and set up other punches such as his big right hand which has knocked out many opponents. Every success that Klitschko has is set up by the jab. We can see in the video below how Klitschko uses the lead hand to great affect when fighting Chris Byrd in 2006. As we can see, Klitschko uses the jab and lead hand in order to have complete control of the distance between himself and his opponent. He uses his superior reach advantage to continuously touch Byrd’s gloves to measure the distance and stay out of range. Klitschko also does a great job of varying the tempo and the pace of the jab, as shown in the video above. We can see Klitschko slowly pawing out his lead hand before varying the tempo and firing in a quick jab which lands perfectly. Byrd simply cannot react to the quick change in the tempo. There’s no doubt that Klitschko’s jab was the main reason for him being so dominant for such a long period of time. However, against Fury, his jab was nowhere near as effective for a number of reasons. Firstly, it’s very hard to be effective with the lead hand against an opponent who is constantly changing levels, constantly busy and jerky, with constant head and upper body movement. We have already discovered that Fury does this very well. Fury’s movement and ability to change levels makes it very difficult for Klitschko to pin him down with the jab. Secondly, and perhaps more importantly, Fury’s size and reach makes it practically impossible for Klitschko to be able to control the distance like he usually does. During Klitschko’s 11 year winning streak, he had height and reach advantage over 21 of his 22 opponents. The only exception was 6’7 Mariusz Wach who Wladimir easily outpointed in 2012. Anyone who knows their boxing can tell you that Mariusz Wach is not good enough to be fighting for a world title. He’s incredibly slow, has minimal footwork, no hand speed, non-existent head movement, and a very lazy jab. Despite Wach’s slight height and reach advantage, he had nothing else going for him in that fight and simply cannot be compared to the likes of Fury and Klitschko. With the exception Wach, Klitschko had the size advantage against all of his opponents over that 22 year period, meaning he could use his jab to dictate the distance and completely control the fight. At 6’9, Fury is tallest opponent that Klitschko faced during that winning streak. And perhaps even more significant is Fury’s 7’1 wingspan, which makes it impossible for Klitschko to be able to control the distance in this fight. Fury’s 4 inch reach advantage means that he is always first to the jab. The image below highlights this brilliantly. The above video shows Fury using his size advantage and jab to control the distance and keep it at long range throughout the whole fight. This is completely alien to Klitschko as he has spent his entire career being the one who controls the distance. This is perhaps the defining factor why Fury beats Klitschko. Klitschko needs to accept that he’s no longer the “big guy” in the fight. It’s already been established that Klitschko no longer has the size and reach advantage and cannot win the fight by controlling the distance and boxing at range like he usually does. Therefore, he needs to accept that he is the smaller man and be the aggressor in the fight. He needs to be the one to initiate the action and close down the distance, as we know that Fury will be boxing on the back foot and controlling the distance with his superior size. In order to close down the distance, Klitschko absolutely must cut off the ring. Cutting the ring off is a type of drowning style in boxing involving a lot of lateral and sideways movement to keep your opponent in front of you and keeping them close the ropes, giving them no escape. Klitschko did a terrible job of cutting the ring off in their first fight. Instead, he simply followed Fury around the ring which played right into Fury’s strengths. Klitschko’s inability to cut the ring off meant Fury could use his excellent movement skills and superior size keep Klitschko at bay. The video below shows an example of this in the very first round. Rather than using lateral movement and sidesteps to keep Fury close to the ropes, Klitschko simply follows his opponent, allowing Fury a very easy escape. If we compare Klitschko’s approach to that of Gennady Golovkin’s, the difference is notibly obvious. When it comes to cutting off the ring, Golovkin is an absolute master. He uses lateral movement and quick sidesteps to hunt down his opponent and keep them directly in front of him and close to the ropes. He can then close the distance, get into range and let his hands go. This is an approach Klitschko has to adopt if we wants to have any success in the rematch. However, even if Klitschko does adopt the approach cutting the ring off and closing the distance, I am not convinced that this will be enough to reverse the result. Fury has demonstrated a number of skills which suggests that he is more than capable of dealing with this style. Firstly, in the first fight, Fury demonstrated that he can execute the check hook effectively when Klitschko attempts to close the distance. The check hook is perhaps one of the most skilful punches in boxing and is rarely seen to be used effectively. 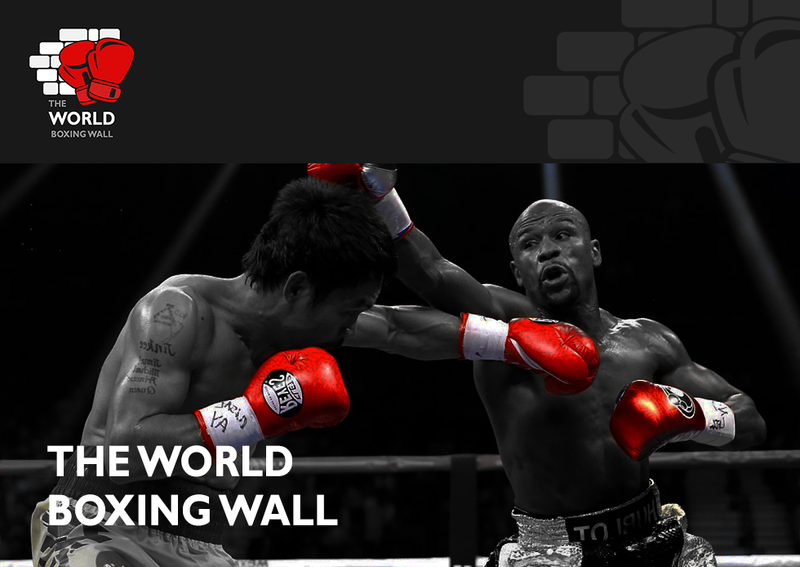 The check hook is the signature punch of pound-for-pound king Floyd Mayweather; and the video below shows Mayweather using it time and time again to great effect. Mayweather uses the check hook to escape from advancing opponents who are trying to close down the distance. It allows fighters to land a clean shot whilst simultaneously escaping danger by pivoting with the lead foot and stepping out at an angle to the left. The video below shows Fury himself executing the check hook perfectly. In this case, Klitschko is doing the right thing by being the aggressor and trying to close the distance. However, Fury uses the check hook brilliantly to land clean whilst pivoting away to re-establish the distance and prevent Klitschko from lunging in. Beautiful boxing. Additionally, if Klitschko does find a way to successfully close down the distance in the rematch, I’m still not convinced that he would be better inside fighter. Fury has shown time and time again that he is a tremendous inside fighter for such a big guy. He uses his superior size to his advantage and stays tall to gain great leverage on his uppercuts when fighting on the inside. Fury provided an absolute masterclass on inside fighting when fighting Christian Hammer in a final eliminator to face Klitschko. Despite his size suggesting that he would have more success when fighting at long range, Fury demonstrates excellent skills fighting on the inside in the video above. When his opponent manages to close the distance and get inside, Fury uses uppercuts and clinching tactics to get the beating of his opponent. Therefore, even if Klitschko does successfully close the distance, there is no guarantee that he will have any success on the inside. Once again, although Fury doesn’t look quite as stylish or as smooth as Ali, his skill and ability to get away from the ropes is just as effective and impressive. In an almost identical way to Ali, Fury skilfully twists and pivots away from the ropes when Hammer gets inside. To possess this kind of skill and fluidity at 6’9 is mightily impressive. Overall, Fury has shown that he is incredibly comfortable when dealing with aggressive opponents who try to close down the distance. This is bad news for Wladimir Klitschko. Many have accused Fury of having a suspect chin, claiming that he hasn’t got the greatest punch resistance. The reason for this is due to him being put on the floor by much smaller opponents in Neven Pajkic and blown-up cruiserweight Steve Cunningham. Therefore, Fury has been labelled as bit “chinny” and not being able to take a punch. There are a couple of things I want to point out regarding these knockdowns. Firstly, it must be stated that, in both cases, Fury was making many silly mistakes and not boxing to instruction. Earlier in his career, Fury rightly gained a reputation of being an ill-disciplined fighter who loved a ‘tear-up’ with his opponents. However, ever since his uncle, Peter Fury, took over as trainer, Fury has become an exceptionally well-disciplined fighter who makes very few mistakes and sticks religiously to the game plan. The knockdown versus Pajkic happened before Peter Fury even entered the picture; and when Fury boxed Steve Cunningham in New York, his uncle Peter couldn’t be in his corner due to visa issues. Therefore, the Tyson Fury we saw in those fights was certainly not the real Tyson Fury. With the discipline instilled from Peter in the corner (who was shortlisted for Ring Magazine Trainer of the Year), you can guarantee that Fury will not make those mistakes again. Secondly; and the reason why I believe Fury’s chin is underrated, is that it’s fairly apparent that Fury wasn’t particularly hurt in either knockdown. Both knockdowns were flash knockdowns whereby Fury was caught by looping overhand punches when he was leaning back. I think it was more of a case of Fury being off-balanced, rather than being hurt. In both cases, Fury quickly got back to his feet with no apparent difficulty and recovered easily to win both fights. At no point did he look “punch-drunk” or out of control. In the first fight, Klitschko landed very few punches. However, on the one occasion when Klitschko did land a big right hand flush on Fury’s chin, it appeared to have absolutely no effect. Klitschko has tremendous power in both hands and has a whopping 53 knockout wins to his name. In particular, the straight right hand of Klitschko’s has finished off many of his opponents. If we compare the knockdown against Chris Byrd to the right hand that Fury takes flush on the chin in round 9, there isn’t much of difference. Klitschko’s right hand appears to have very little effect and Fury showed no signs of being hurt. A “chinny” fighter wouldn’t be able to take a shot like that. Therefore, I think it’s very unfair for anyone to suggest that Fury has a suspect chin. After all, the famous phrase is “the best chins are those that don’t get hit”; and Fury’s rarely does! The final factor which I will cover, which happens to be another very important one, is Fury’s excellent use of angles. Unlike most big heavyweights, Fury doesn’t simply box in straight lines. Instead, Fury creates a number of different angles which makes him very hard to defend against. Fury uses excellent footwork and constant upper movement to give his opponent different looks. His ability to switch stance midway through combinations is a very rare talent which is even more impressive given his 6’9 size. Once again, it’s not always pretty, but it’s mightily effective. Additionally, on a couple of occasions in the first fight, Fury’s use of angles enabled him to get into a position to expose Klitschko’s centre line, essentially squaring up Klitschko and making him an easier target to hit. This concept of exposing your opponent’s centre line was executed most famously by the great Thomas “the Hitman” Hearns. Protecting your centre line is highly crucial for any boxer. When you find yourself square-on and your centre line exposed, you become a much easier target to hit. Hearns was truly fantastic at altering his position in a very fast manner, giving his opponent no time to adjust their feet, leaving them squared-on and their centre line exposed. As we can see from the video above, Fury’s use of footwork, ducking, twisting and pivoting in such a quick manner makes it very hard for Klitschko to adjust in time. Fury very skilfully slips under Klitschko’s right hand and adjusts his feet very quickly to change position. This results in Klitschko’s centre line being exposed and becoming a bigger target to hit. It’s remarkable that someone of Fury’s size possesses this level of skill, flexibility and fluidity. Klitschko has never faced an opponent like this before. What happens in the rematch? I have compared Fury’s skills to the likes of Muhammad Ali, Thomas Hearns, Floyd Mayweater, Guillermo Rigondeaux, Manny Pacquiao, etc. These guys are some of the pound-for-pound greatest fighters to have ever graced the sport of boxing. Although Fury’s skills may not be as obvious or as aesthetically pleasing to the eye, they are definitely just as affective. Combining this skill set with his 6’9 height and 7’1 wingspan makes him an almighty difficult heavyweight to defeat. It’s pretty clear that Klitschko needs to come with a totally different approach in this fight. Klitschko needs to accept that he’s the smaller guy and cannot control the distance like he usually does in his fights. If Klitschko wants to have any chance of revenge, he needs to be aggressive, cut off the ring, and close the distance. The problem with this: can Klitschko actually do this and completely change the way he boxes? Can you teach an old dog new tricks? Klitschko’s 22 fight winning streak over 11 years was done by controlling the distance with his jab and fighting the same way in every fight. It has already been proved that Klitschko cannot defeat Fury in that way, meaning he has to come with something different. There is no evidence to suggest that he can box in a totally different way, however. The same can be said for when the great Larry Holmes was defeated twice by Michael Spinks in the 1980s. Larry Holmes was undefeated with a record of 48-0 over a 12-year period. Spinks shocked the boxing world when outpointing Holmes in their first meeting; and their rematch, just a few months later, went exactly the same way. After winning 48 fights in a row boxing in the exact same why, Holmes found it difficult, or impossible even, to change the way in which he boxed in order to beat Spinks. I think the same will happen in the Fury-Klitschko rematch. At the age of 40, can Klitschko really completely change his style of boxing after 12 years of fighting in one way? I think not. Fury and his team have made confident predictions that the rematch will end with Klitschko being brutally knocked out. Whilst anyone is capable of being knocked out in the heavyweight division, I personally can’t see this happening. Despite Fury having a relatively decent KO record (72% of his wins coming by way of knockout), I still don’t believe that he has that one-punch concussive knockout power. A lot of Fury’s stoppage wins come from grinding his opponents down over a long period of time. His last two stoppage wins, versus Christian Hammer and Dereck Chisora, were perfect examples of this. Fury outclassed these guys over many rounds causing them to sustain a lot of punishment. Whilst neither were particularly ‘hurt’ from one big punch from Fury, they both were broke down and suffered a lot of sustained punishment over many rounds, causing their corner men to retire them from the fight. 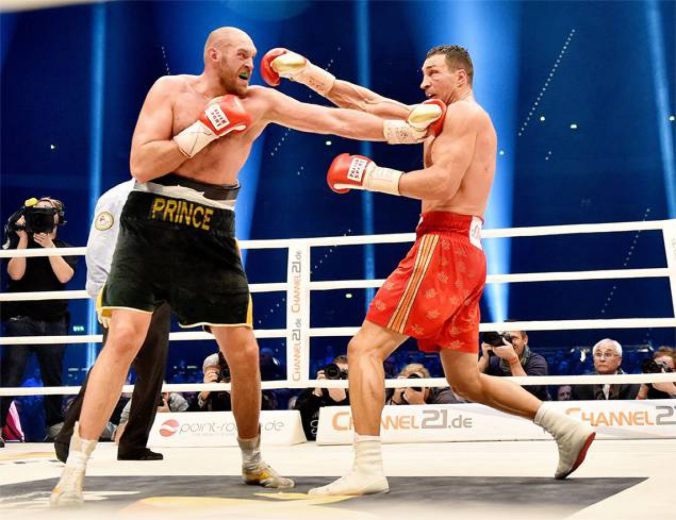 Although we know that Fury is capable of outclassing and outboxing Klitschko, Wladimir is too skilled and experienced himself to allow Fury to cause that much sustained damage and clean punches over 12 rounds. Therefore, I think the fight will go the distance like last time, with Fury winning comfortably on points; cementing himself as the number one heavyweight in the world. Terrific breakdown! Being a bit behind the curve, I just watched the Fury Klitschko fight. Interesting to see that the frenetic motion Fury had was actually done similarly by Ali.